After a bitter divorce, Miriam (Léa Drucker) and Antoine (Denis Ménochet) battle for sole custody of their son, Julien (Thomas Gioria). Miriam claims the father is violent but lacks proof. Antoine accuses her of manipulating their son for her own ends. Both sides seem to be hiding something with the truth buried beneath layers of deceit and jealousy. When the judge awards joint custody, an already tense situation soon brings the family’s fraught past to light. And as the truth slowly begins to emerge, a chain of events is set in motion with Julian an innocent bystander in an increasingly dangerous situation. 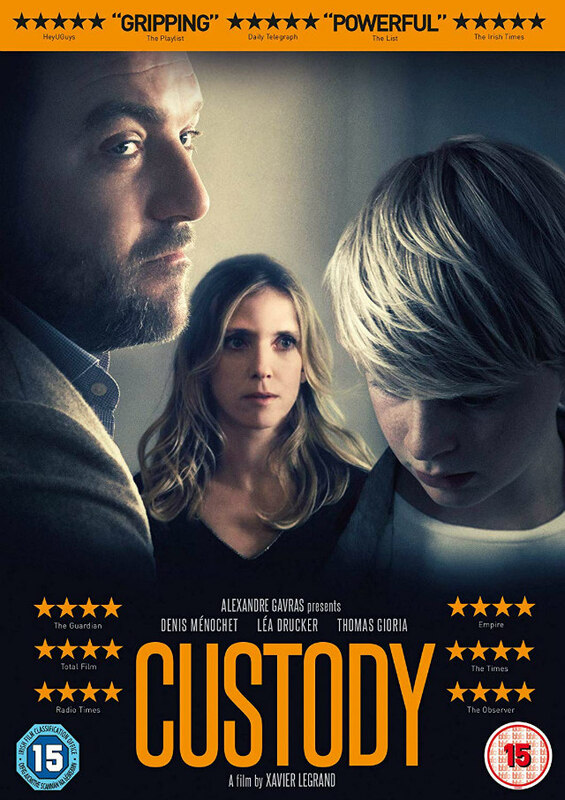 Xavier Legrand’s award-winning, critically acclaimed debut feature Custody comes to UK DVD, Blu-ray and Digital on September 3rd, where it will be accompanied by Legrand's Oscar nominated short, Just Before Losing Everything, which stars Lea Drucker and Denis Ménochet in the same roles they portray in Custody. We've got three DVD copies to give away to lucky UK readers.